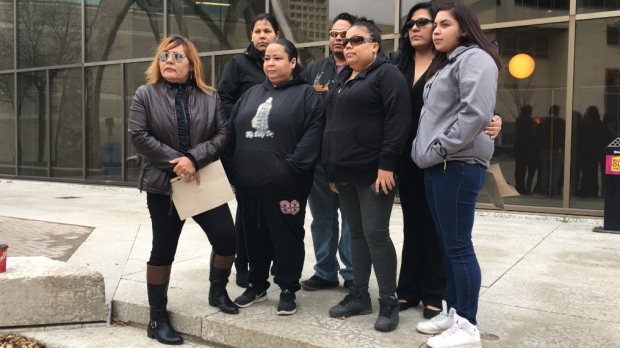 A Manitoba family's year-long push for justice has been extended. In September 2017, 43-year-old Anthony Green was critically injured in a hit and run. Green spent months on life support and died in January 2018. Winnipeg police said at the time of the incident he was found in the middle of the road at Talbot Avenue and Panet Road in the early morning hours. A court official told CTV News on Monday that Shane David Strebly of Winnipeg has been charged with failing to stop at the scene of an accident causing death. Green's family, some who travelled to Winnipeg from Illinois, were hoping for a resolution Monday, but that didn't happen. "It's very upsetting to us. We're here,” said Green’s aunt Margaret Cobiness from outside court. “We want this settled. We want justice for Tony. Prolonging, it's not fair to us, it’s not fair,” she said. The case has been put over until Nov. 15th.